Comics with a Black Perspective are valuable additions to Black History. They promote reading through pictures and make kids smarter. And can’t be beat for pride-inducing social commentaries. Our expert review tells you why. Here’s Part One. 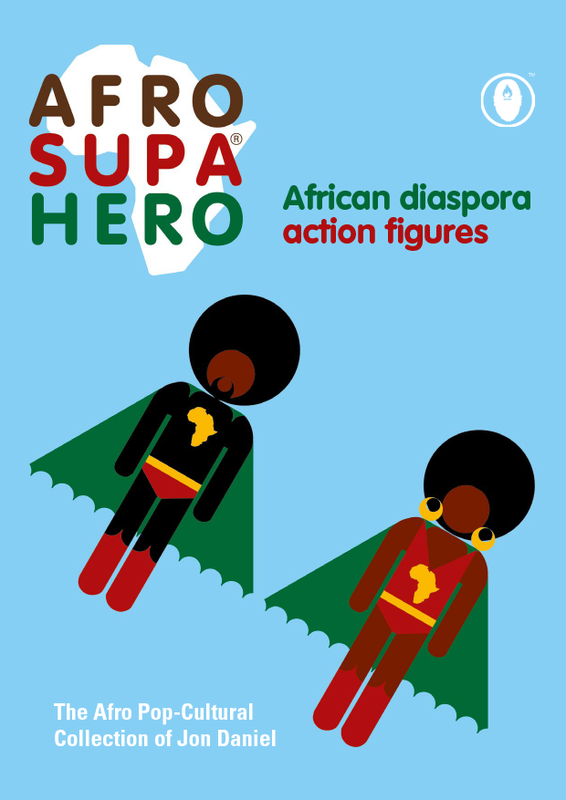 Afro Super Heroes are on the rise in the Black World — USA, Caribbean, Latin America and Africa. Everywhere, comic images in strip cartoons add “our own national cultures, needs and identity”. This identity factor is nothing new. White American comic book super heroes have mirrored their ethnic and nation’s image of itself since World War II. Fearless Superman fought Japanese saboteurs in the 1940s. Batman fought crime in Metropolis, the mythical US city. Barbie-doll-like Wonder Woman saved her tribe of Amazons from the villainess Strife, who sowed confusion and collective murder among them. Invincible Afro Super Heroes pose a new demand for “our own heroes with our own cultural identity”. This emphasis on indigenous Black action makes Black comics a prime form of social commentary. Here are some of the most exciting examples I have discovered, and presented by topics and global spread. Over in Chicago, there’s another avid fan of black-themed comics, but the artist Kerry James Marshall creates them too. His “Rythm Mastr” (1999-present), is a truth-telling saga of life in Bronzeville, Chicago’s “Black Metropolis”. His Black superheroes go into action armed with the wisdom of the Yoruba gods and a skilful use of Black vernacular English. Bold in conception and execution, Marshall says “I’m trying to produce an epic story of every aspect of people’s lives, from romance to gang violence to poverty to cultural identity”. Brown skin, dreadlocked, and local lingo speaking super heroes will soon be hitting store shelves in Toronto, a West Indian enclave in Canada. Nigerian youth are turning to comic books as inexpensive and easily accessible entertainment. Moreover, publishers are fighting to get their attention.